The Official International Puppy Contest for the best of the best human pups from around the country and around the world. The International Puppy Contest is 4 days of pupping out for the puppy, dog, trainer, handler, owner and those that supports or wants to learn about puppy play. 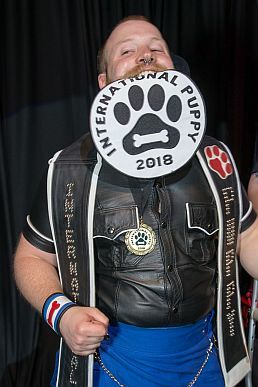 In addition to the International Puppy Contest, there will be a huge leather and fetish weekend event complete with puppy mosh pits, demos, parties, classes, vendors and more! So be sure to bring your puppy gear, your leather or your fetish gear! It's the Biggest Puppy Party on Earth! International Puppy Contest ™ is a pansexual puppy contest and welcomes every human puppy, dog, handler, trainer, owner and anyone from any country interested in puppy play. It's the Largest Puppy Party in the World! When we started IPC, there were very few pups left and there had been no puppy contests for seven years. Our goal was to unite the remaining puppy community, promote puppy play, help the pup community grow, bring puppy play out of the back rooms and into the mainstream. "Which side are we on?”. They are obviously referring to the International Puppy Contest (IPC) and the International Puppy and Trainer Contest (IPTC). The answer is of course, "We are on the side of the pups, oh and we also own IPC". Questions like this gives the appearance or impression that some in the community are trying to increase their status by dividing the puppy community between IPC and IPTC camps. Are there really so many puppy events now that pups must only attend only one event and not another? We at IPC are proud to have been a part of helping grow the puppy community from near extinction in 2011 to the world-wide community it has become today and will not allow anyone to use IPC as a means to divide the puppy community. The only way we know to prevent it is to cancel the International Puppy Contest and IPC Weekend. 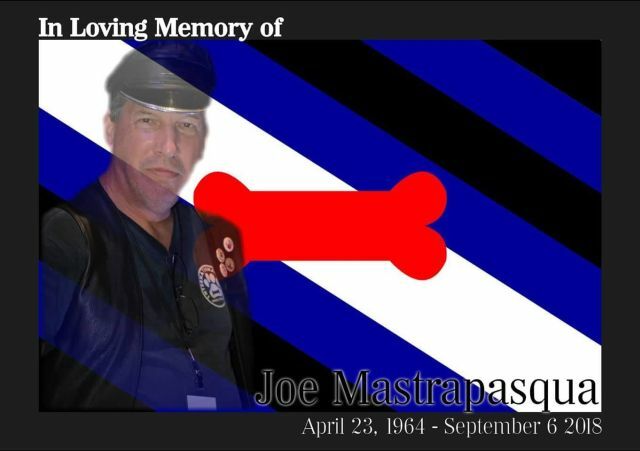 The death of Joe Mastrapasqua (aka Joe Puppy Graphics) has left IPC short staffed so it was going to be a huge challenge for us to plan and organize the IPC Weekend for 2019 and adding an artificial IPC vs. IPTC controversy on top of everything else is just more than we are willing to contend with. Effective immediately, the International Puppy Contest and IPC Weekend is officially canceled. "International Puppy" will continue to have a presence in the community in the future but as for puppy contests, everyone can consider the IPC/IPTC merger to be complete since canceling IPC produces exactly the same results that the IPC/IPTC merger would have produced. Our approach to running the IPC event was vastly different than the way IPTC ran their event. We insisted on keeping the contest free and supporting the local puppy friendly establishments and we hope the two years IPTC had with IPC will help them keep their contest free for pups and supportive of the few local establishments that still exist. We at IPC wish the International Puppy and Trainer Contest the best of luck with their future events and will support them in any capacity we can.